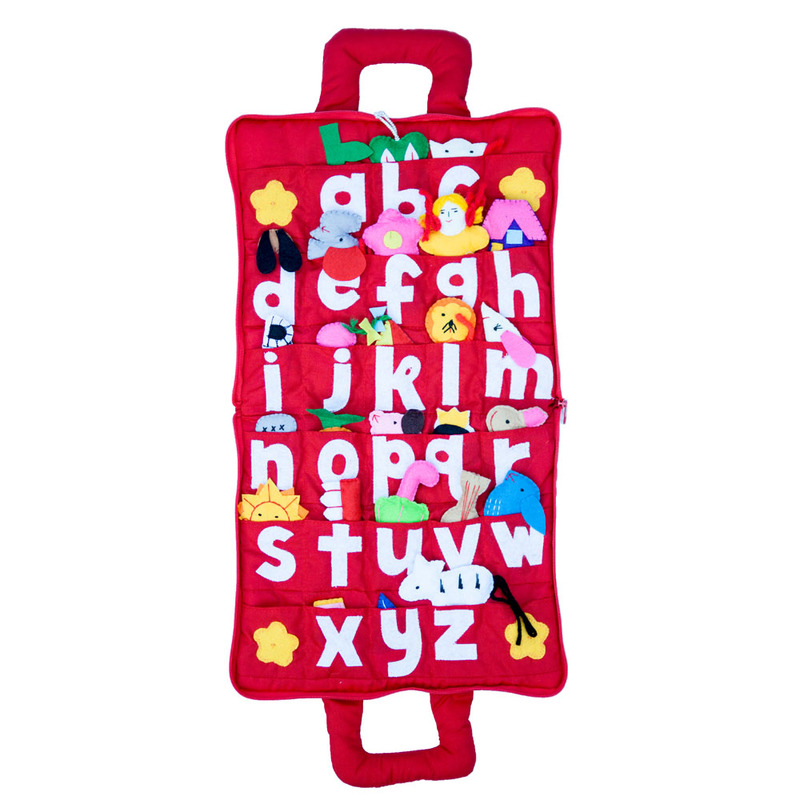 This clever soft fabric alphabet book is the perfect travel companion for your child. It zips up all the way round to keep all the pieces within and features a soft handle which is easy to hold for little hands. 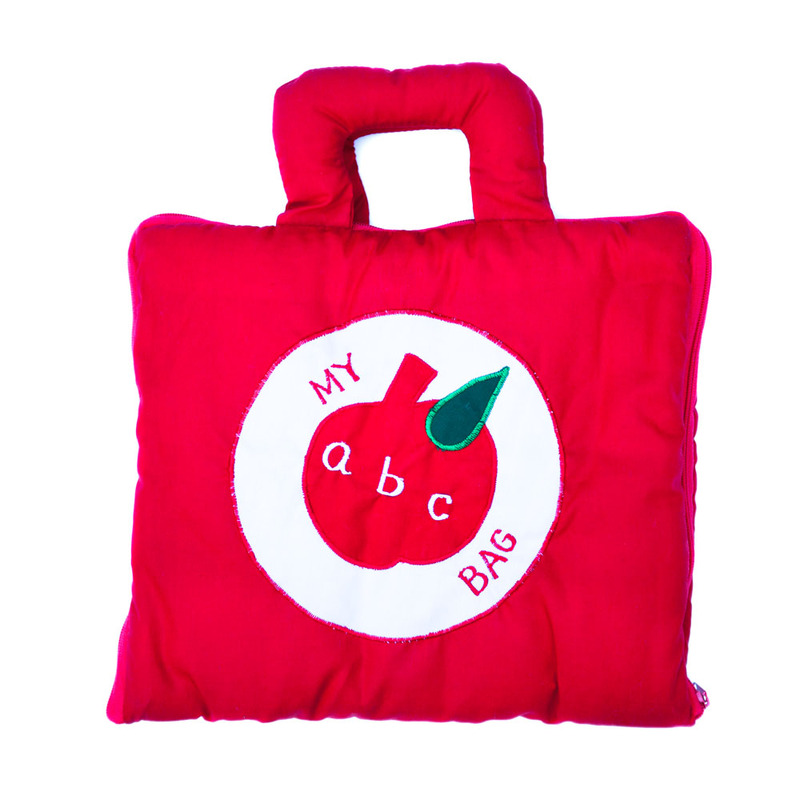 My ABC Bag features 3 rows of pockets inside each cover, and when opened up, the bag is designed to hang vertically to reveal all the letters at once. Each embroidered pocket contains a soft animal or object whose name starts with that letter. A wonderful educational toy which familiarises your child with Australian fauna at the same time as they learn and practise the letters of the alphabet. The animals are also sure to become characters in imaginative stories and scenarios! The little soft toys include: apple, butterfly, cat, dog, elephant flower, girl, house, igloo, jam, kite, lion, mouse, nail, orange, pig, queet, rabbit, sun, toothbrush, umbrella, violin, whale, xylophone, yacht, zebra. Please Note: This listing has a RED cover. The bag measures approx. 25cm wide by 21cm high plus handle (approx. 7cm high).